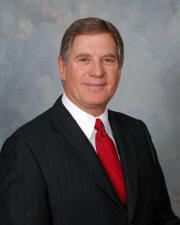 Steve Clark is the 2010 recipient of the Kansas CCIM chapter and WSU Center for Real Estate Lifetime Achievement Award. In 1960, Mr. Clark became the youngest licensed real estate salesperson in Kansas at age 18. Since that time he has been active as an appraiser, licensed general contractor, property manager, and developer of offices, homes, hotels, retail, apartments, and industrial facilities, as well as multi-state fast food outlets. He has developed over 2,000 apartment units, over 3.5 million square feet of industrial properties, and managed over 3,000 homes and multi-family units. For several years he conducted seminars on the economics of real estate investments, having spoken before more than 10,000 people at national conventions, colleges, civic groups and various trade organizations in over 20 states and Canada. He was for over five years featured monthly as a syndicated real estate columnist for American City Business Journals, which published business papers in 36 cities. He is a past President of the Wichita Area Association of REALTORS®, and the Kansas CCIM Chapter. In 1976, he received the Wichita REALTOR® of the Year award, and in 1983 was recognized by the Kansas Association of REALTORS® with their Distinguished Service Award. In 1985, he was chosen by the Kansas Association of REALTORS® as the Kansas REALTOR® of the Year. He has also served as a National Director for the National Association of REALTORS®, and was for over 10 years on the Board of Directors of the Kansas Association of REALTORS®. In addition, Mr. Clark has served on a wide variety of corporate and community boards, giving generously of both his time and talents. Mr. Clark is the sixth recipient of this award, joining Colby Sandlian, the late Jack Hunt, George Ablah, Jack DeBoer and Michael & Nestor Weigand.